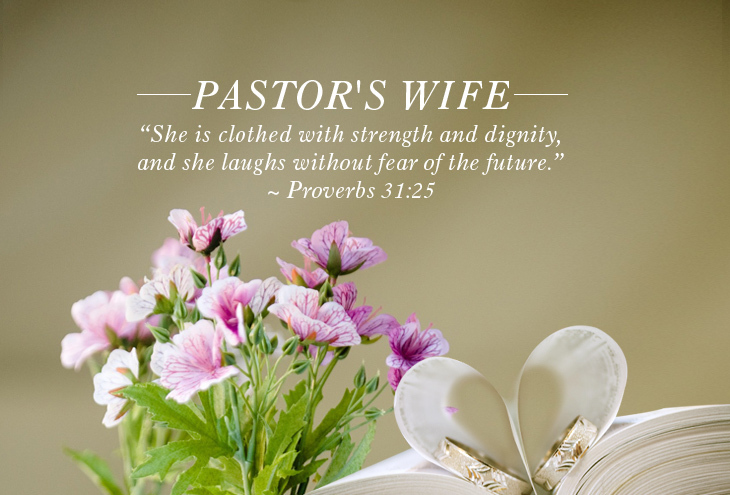 When the time comes to give tribute to your pastor’s wife for her dedication and support, you’ll want to think “creative and customized.” The gift for Pastor's wife should be useful, not a simple, perfunctory gesture, and it should also be special. When brainstorming gift ideas for pastor’s wife, tailor them to her individual tastes. Hobbies can seem cliché on the surface when choosing the right gifts for your pastor's wife, but they can really serve as inspiration when it comes to gift giving. Is your pastor’s wife a foodie? Is she an athlete? Mother? Lover of film? All of these can help shape your gift ideas for pastor’s wife. Instead of giving a foodie a basket of gourmet treats, how about a cooking class for her and a few loved ones? Another option is a food tour or a chef hosted tasting at a new restaurant. This makes the gift a memory, not just another present. For the athlete, organize a club team of her sport of choice at the church. Get young people involved and hold a scrimmage at a church picnic. If she’s a jogger or marathoner, put together a 5K fundraiser in her honor and donate proceeds to a charity of her choice. If your pastor’s wife is a mother, try a photo and quote book or shadow box featuring photos and souvenirs of her children. Some companies like Plum Print will actually laser scan a child’s artwork into a hardcover keepsake book so Mom can cut down on clutter and enjoy! Instead of movie passes for the film lover, you can hire a local film critic to show a movie at your local church and give a little talk before and after with some behind-the-scenes perspective. VIP passes to a film festival is a fun idea too. The pastor’s wife is an interesting church character. She’s vitally important, leading her own sort of ministry and endlessly supporting her husband who seems to be on call 24 hours a day. But despite that central role in everyday church life, her heroism is a little unsung. When the time comes to give her a gift, choose 100 percent optical crystal to stop that line of thinking in its tracks. First Lady Appreciation Gift: This piece, expertly designed to honor the pastor’s wife is gorgeous and detailed to perfection. Personalized engraving will bring this gift over the top. Pastor Wife Appreciation Plaque: Bless your pastor's wife with this amazing Appreciation Plaque. Highly customizable and breathtakingly beautiful, it sends the right message. When trying to come up with gift ideas for pastor’s wife, you can’t go wrong if you consider her personality and invest in something special and substantial. She’s a person worthy of great respect and your gift to her should echo that sentiment. Borrow from the list above, and it will.